Dr. Kasrai can lift saggy upper and lower eyelids with advanced surgical techniques to make you look younger and rejuvenated. 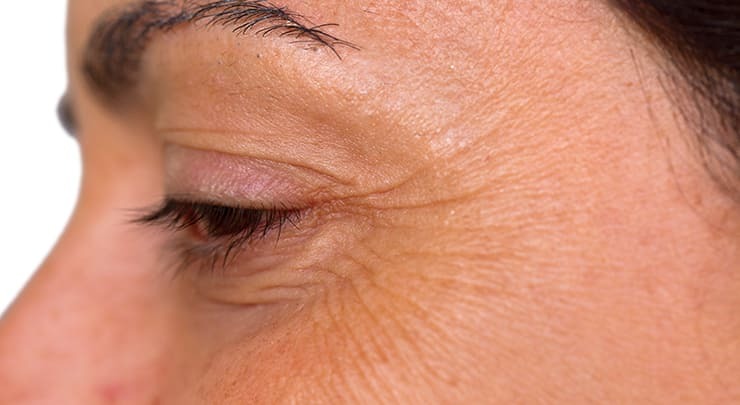 The skin around your eyes is prone to wrinkles and sagging. This is because it's thinner and more delicate than anywhere else on your face or body. On top of that, aging changes our facial structure, causing pockets of fat to shift downward. That's why it's easy for the eyelids to droop. Your lower eyelids may also be saggy and/or puffy, with a visible hollowness that makes you look tired and sad all the time. Makeup and skincare products may help reduce that sagginess and puffiness a bit. However, for a dramatic improvement, you need eyelid surgery, also known as blepharoplasty. An eyelid lift resolves the signs of aging around the eyes. This gives you a younger and refreshed appearance that people will compliment you for. Because the area around your eyes is so delicate, it's incredibly important that any techniques applied during your surgery are gentle to prevent unnecessary trauma. Damaging tissues and causing excessive trauma cause patients to have a lengthy recovery and higher incidence of complications — you don't want that! I carefully plan my surgical approach, considering your unique physiology and goals. This ensures that you get the results you want without a lengthy and intense recovery period. As a result of my gentler approach to blepharoplasty, my patients experience minimal discomfort following surgery. In addition, they don't need to take pain medication. I know that you definitely don't want visible scars, especially since your eyes are such an important feature of your face and are often exposed. For this reason, I always make sure to place any incisions in the natural creases of your eyelids, or on the inside of the lower eyelid. The resulting scar will then remain well hidden. I'll also give you instructions on how to care for your scars. These instructions will allow your scars to fade into very thin and light lines over the course of a year or so. Your surgery is performed under local anaesthesia and intravenous sedation, or general anaesthesia. General anaesthesia is necessary if a facelift is performed at the same time. No overnight stay is required. Small incisions are made along the creases of your upper lids and just below the lashes in the lower lids (if a lower eyelid lift is also performed). The skin is gently lifted, excess fat is removed from underneath, and, if necessary, sagging muscle and skin are trimmed. Then, the incisions are closed with extremely fine sutures using a delicate suturing technique to minimize scarring. Immediately following the procedure, your eyes will be lubricated with ointment. My patients don't usually require pain medication, but I can prescribe it if necessary. You should be able to read or watch TV right away. Stitches will be removed a week after surgery. To speed healing and reduce swelling and bruising, use ice packs or cold compresses on your eyes. Keeping your head elevated for the first few days will also help. Your eyes may feel gummy. After a week or so, they may start to feel dry or itchy; I'll show you how to clean them before this happens. Eyedrops can keep your eyes lubricated. You may notice increased sensitivity to light, double vision or blurring. Wear sunglasses when you go out, and if you're a contact lens wearer, avoid putting in your contacts for at least two weeks after your surgery. Most people can get back to work and regular activities within 10-14 days. Avoid activities that make your blood pressure rise, like vigorous exercise, for about 6 weeks. Although eyelid surgery only treats the eyes, my patients often comment on how the procedure has made their whole face look younger and more rested — as if they've just come back from a vacation! Blepharoplasty, familiarly known as eyelid surgery or an eyelid lift, is a cosmetic surgical procedure that rejuvenates the upper and lower eyelids by firming saggy and droopy skin (dermatochalasis), removing bulging fat and tightening loose muscles. You may choose to have the upper or lower eyelids treated, or both at the same time. How much does an eyelid lift cost in Toronto, Ontario, Canada? How much is blepharoplasty? The price of an eyelid lift is about $3500-$4500 for the upper eyelids and $5500-$6500 for the lower eyelids. If both upper and lower eyelids are treated, the price is about $8000-$9000. This includes surgeon's fees, anesthesia, surgical facility, staff, as well as pre- and post-operative appointments. How old do I have to be to get the surgery done? You don't have to be a specific age, however most patients tend to be in their late 30s and over. This is when the eyelids start to develop visible signs of sagging, to the point that it becomes an aesthetic concern. Is there a non-surgical option to eyelid surgery? 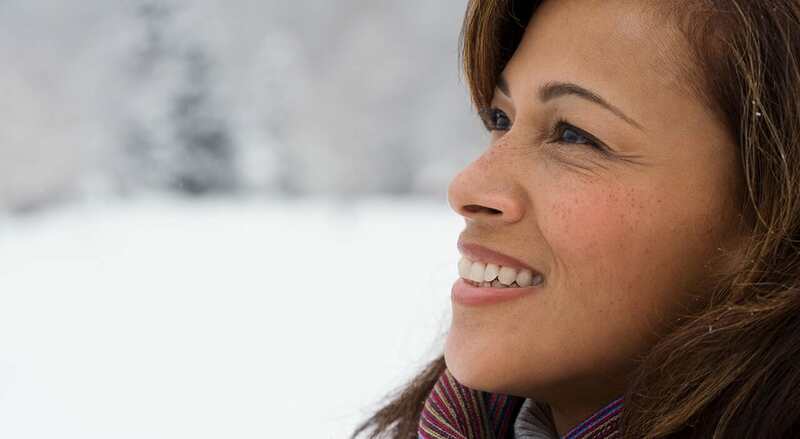 BOTOX® and injectable fillers may help improve the appearance of drooping eyelids. These are injection treatments that achieve temporary results. Do you perform double eyelid surgery? 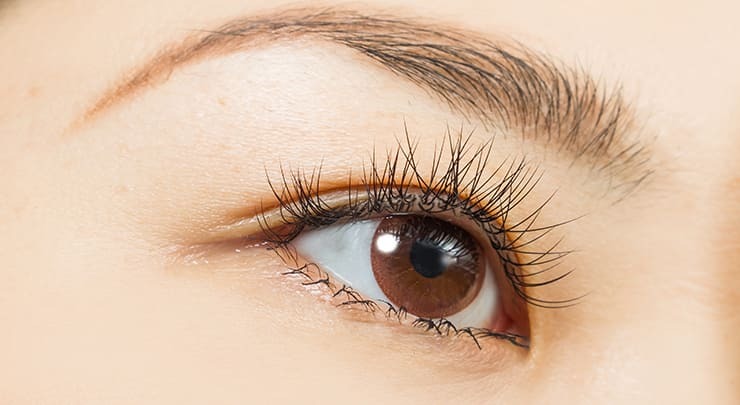 Double eyelid surgery, also known as Asian eyelid surgery or Asian blepharoplasty, is a procedure that creates a crease in upper eyelids that have no crease (monolid). I do not perform this procedure. Do I have to go under? Upper eyelid surgery can be performed under local anesthesia. However, general anesthesia may be necessary when treating the lower eyelids. Does blepharoplasty treat crow's feet? Blepharoplasty targets the eyelids only. Because crow's feet are located at the outer corners of the eyes, not on the eyelids, the surgery doesn't treat them. You'll probably be able to get back to work in about two weeks. If your job is physically demanding, you may need to take a few more weeks off. Can the surgery target undereye bags? Lax skin underneath the eyes can be firmed up with blepharoplasty. Will people see my scars? Incisions are made in th natural creases of your eyelids, along the lash line, or on the inside of your lower eyelid. For this reason, your scars won't be easily visible. 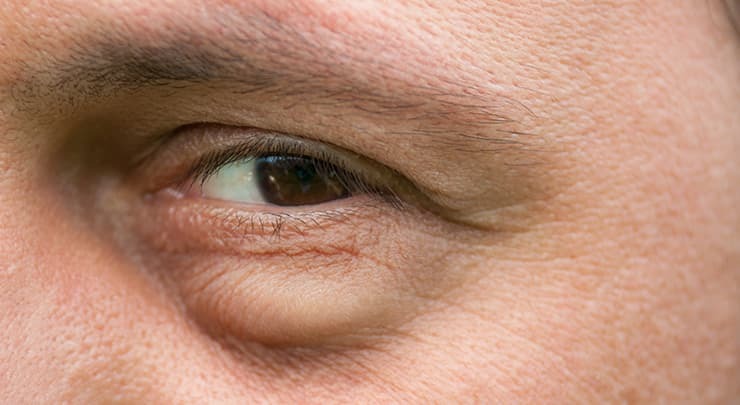 How can I reduce swelling and bruising after blepharoplasty? Bruising and swelling are at their worst in the first week or two after surgery. You may notice that one eye gets better faster than the other - this is normal because one eye may have been treated more extensively than the other. There are several things that you can do to help ease the amount of swelling and bruising that you experience after surgery. In the first two to three days after surgery, apply a cold compress to your eyes for about 15 minutes every few hours. If you don’t have a compress, you can always use a bag of frozen peas. Wrap the bag in a soft cloth towel and place it gently on your eyes. Avoid medications that increase bleeding, such as Aspirin, before and after surgery. Take arnica montana supplements, or apply it topically. Rest with your head elevated. Avoid bending over or straining (even when going to the washroom). You should also avoid stressful situations. The emotional impact can impede your recovery. Don’t smoke or drink alcohol for a few weeks. You’ll receive a complete list of instructions on how to care for your eyes. Please make sure to follow them. closely.